Menstrual Hygiene Day raises awareness of the challenges women and girls worldwide face due to their menstruation. It will help to break the silence and build awareness about the fundamental role that good menstrual hygiene management plays in enabling women and girls to reach their full potential. Emmanuel International runs a Menstrual Hygiene (Pads Ministry) project in the Pader region in Northern Uganda. The Pads Ministry project aims for the girls to be equipped to stay in school beyond puberty. They are taught to understand and accept their periods and issued with washable pads and underwear, many of them for the first time. Alongside this support, we teach from the Bible about the importance of each girl to God. To date about 12,000 girls have received support. Education is key to ensuring women and girls have proper access to basic sanitation. Tell others about the problem that some girls face. In the North of Uganda, it is difficult for girls to receive education. There is a very high drop out rate. One of the many factors, but an early and important one, is an inability to manage their periods while attending school. This means missing 4 or 5 days a month from school. In rural Northern Uganda, most people are on a very low income and exist mainly outside the cash economy. A girl can not just ask her father for money for pads, and children simply do not have money of their own. The girls manage their periods by staying home for four or five days. Unless they are unusually bright and determined, they fall behind and are seen as dim by their teachers and parents. When it comes to which children should get their school fees paid, the parents usually choose a son before a daughter for cultural reasons. If the daughter’s school report is poor, then the decision is even easier to make. 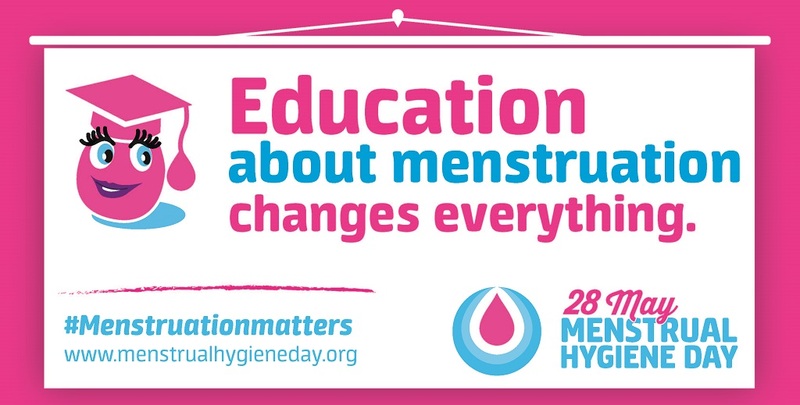 What can you do to support World Menstrual Hygiene Day? Spread awareness – Share this message with your friends or on social media.